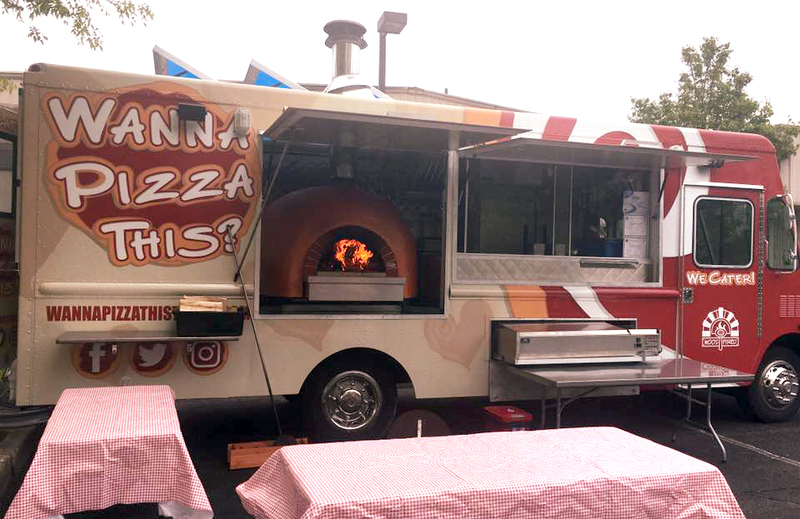 Book our Mobile Brick Oven Pizza Truck,Wanna Pizza This?, for YOUR next event! Wanna Pizza This? strives to bring you fresh, delicious foods cooked to perfection and served with a smile. Ranging from pizzas to small fried sharables, you won’t leave hungry or disappointed. Come get a pizza us. Book us for your event! Fill the void that’s been missing in your life by bringing Wanna Pizza This? right to you. 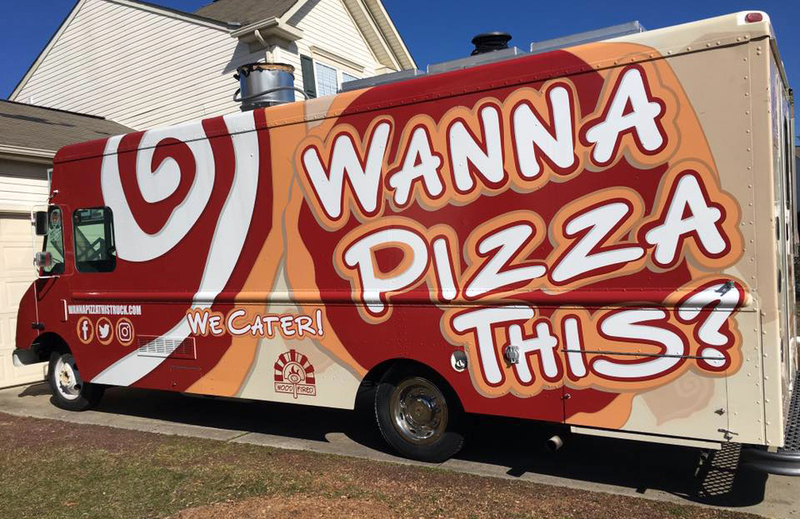 We’ll roll up to your next event putting a grin on everyone’s faces and pizza in their bellies. We’ll even bring the napkins. It’s guaranteed fun, food and festivities for all. You can take a look at our brick and mortar location’s menu and call for questions and inquiries. We look forward to hearing from you! Click here to book us for your event!